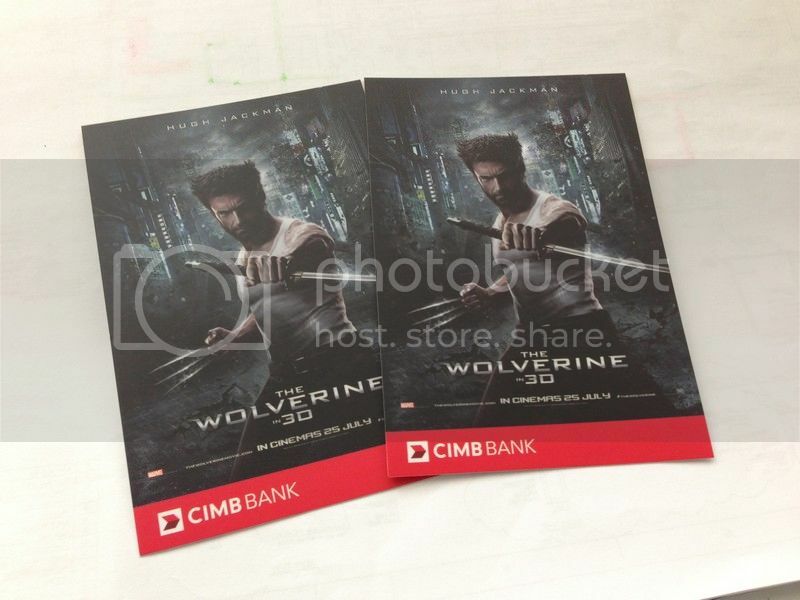 Thank you CIMB Bank for the premiere tickets to watch The Wolverine. In 1945, Logan, the Wolverine, is held in a Japanese POW camp near Nagasaki. During the atomic bombing of Nagasaki, Logan rescues an officer named Yashida and shields him from the blast. In the present day, Logan lives as a hermit in the Yukon, tormented by hallucinations of Jean Grey, whom he was forced to kill in X-Men: The Last Stand. He is located by Yukio, a mutant with the precognitive ability to foresee people's deaths, on-behalf of Yashida, now the CEO of a technology corporation. Yashida, who is dying of cancer, wants Logan to accompany Yukio to Japan so that he may repay his life debt. In Tokyo, Logan meets Yashida's son, Shingen and granddaughter, Mariko. There, Yashida offers to transfer Logan's healing abilities into his own body, thus saving Yashida's life and alleviating Logan of his immortality, which Logan views as a curse. Logan refuses and prepares to leave the following day. 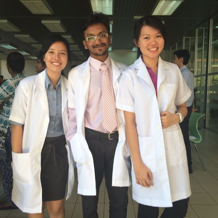 That night, Yashida's doctor, Viper introduces something into Logan's body, but Logan dismisses it as a dream. The next morning, Logan is informed that Yashida has died. At the funeral, Yakuza gangsters attempt to kidnap Mariko, but Logan and Mariko escape together into the urban sprawl of Tokyo. Logan observes that he is no longer healing from his injuries, and is therefore vulnerable to attack. After fighting off more Yakuza on a bullet train, Logan and Mariko hide in a local love hotel. While Mariko sleeps, Logan stands guard outside and experiences another hallucination of Jean before passing out from his injuries. When he awakens, he discovers that Mariko had the innkeeper's grandson, a veterinarian, stitch his wounds. Meanwhile, Yashida's bodyguard Kenuichio Harada meets with Viper who, after demonstrating her mutant powers on him, demands he find Logan and Mariko. Logan and Mariko travel to Yashida's house in Nagasaki. As they slowly fall for each other, Logan starts revealing his past to Mariko. Meanwhile, Yukio has a vision of Logan dying, and goes to warn him. Before Yukio arrives, Mariko is captured by Yakuza. After interrogating one of the kidnappers, Logan and Yukio confront Mariko's fiance, corrupt Minister of Justice Noburo Mori. Mori confesses that he conspired with Shingen to have Mariko killed because Yashida left control of the company to Mariko, and not Shingen. Mariko is brought before Shingen at Yashida's estate when ninjas led by Harada attack and whisk her away. Logan and Yukio arrive later and, using Yashida's X-ray machine, discover a robotic parasite entwined around Logan's heart, dampening his healing power. Logan cuts himself open and extracts the device. During the operation, Shingen attacks but Yukio holds him off long enough for Logan to recover and slay him. Logan follows Mariko's trail to Yashida's natal village. There, he is captured by Harada's ninjas. Logan is placed in a machine by Viper, who reveals her plans to extract his healing factor and introduces Logan to the Silver Samurai, an electromechanical suit of Japanese armour with energized swords made of adamantium. Mariko escapes from Harada, who believes he is acting in Mariko's interests, and manages to free Logan from the machine. Harada sees the error of his ways and is killed by the Silver Samurai while helping Logan escape. Meanwhile, Yukio arrives and kills Viper, as Logan fights the Silver Samurai. The Silver Samurai severs Logan's adamantium claws and begins to extract Logan's healing abilities. Yashida, who had faked his death, is revealed to be wearing the armour and starts to regain his youth. Mariko intervenes and stabs Yashida with Logan's severed claws while Logan regenerates his bone claws and finishes off Yashida. Logan collapses and has one final hallucination of Jean, in which he decides to finally let go of her. Mariko becomes CEO of the Yashida Corporation and bids farewell to Logan as he prepares to leave Japan. Yukio vows to stay by Logan's side as his bodyguard, and they depart to places unknown.